When we take a look at the classic watch designs, it doesn’t take long for us to notice that they are mostly created upon Professional requirements. B-Uhr is no exception. 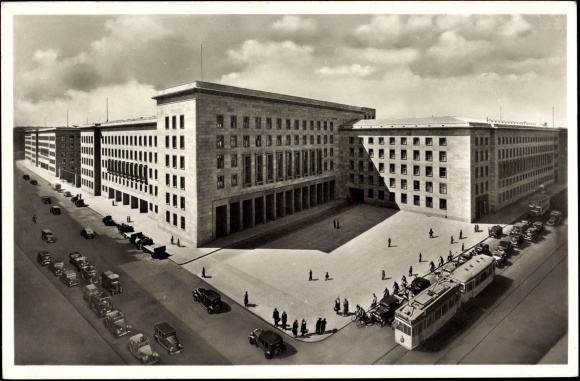 Before the WWII begun, Hitler takes the move to re-activate the German Airforce. 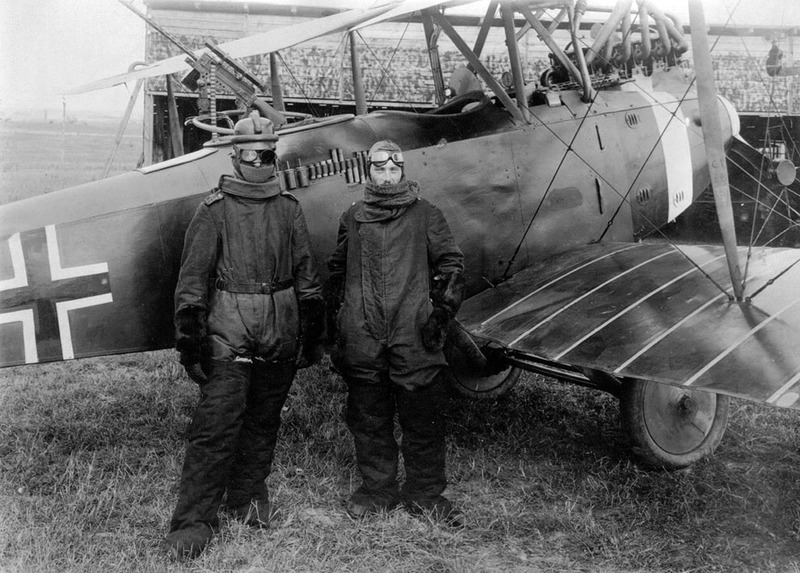 While being presented as a civil action within WWI’s Versailles Treaty, it was actually a military oriented decision. 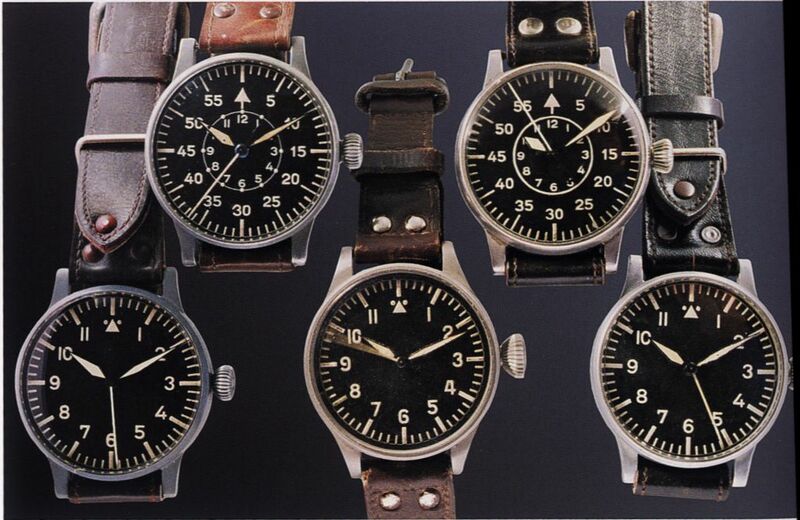 5mm case watches were designed to be worn over thick flight suits. Due to their massive size, B-Uhrs look like pocket watches with straps on the wrist however, despite their odd look they are extremely functional for the purpose they built for. The winding crowns were designed oversized for easy grip with flight gloves. And a novelty for the era, the crowns were pulled to hack the seconds for synching to another source. The leather straps are quite longer than standard for optimum wearing comfort. B-Uhr watches were produced with two main dial types. The Type A which is the first version sports a black background and contrasting white Arabic numeral markers. 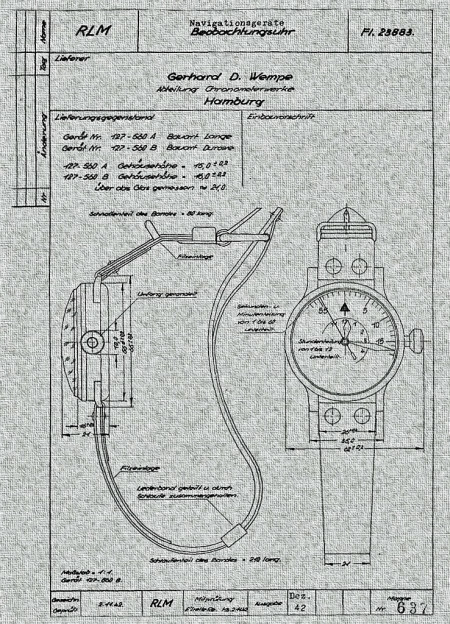 The Type B model manufactured in 1941 features different numeral rings for hours and minutes. Every case bears a serial No. FL23882 on the left side and several engravings at the case back about the type, production No., movement, order No. and the manufacturer. Since the correct synchronization was fundamental during military flights, the pilots re-synch their watches upon the signals transmitted from the main base in order to prevent possible mistakes. B-Uhr watches were supplied mainly by four brands; A. Lange & Söhne, Wempe, Lacher & Company/Durowe (Laco) ve Walter Storz (Stowa). Each company used different movements for their production as follows; Wempe - Thommen Calibre 31, Stowa - Unitas Calibre 2812, Lange - Calibre 48 & 48.1, Laco - Durowe Calibre 5. Wempe managed to fully assembly the watches within its own facility. A.Lange & Söhne decided to get some help from the other brands in order to respond the demand efficiently. 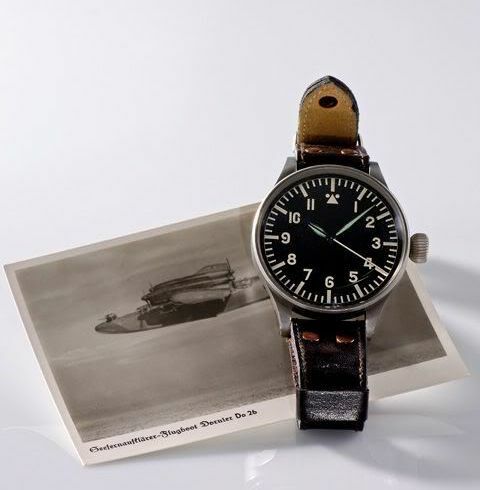 International Watch Company (IWC) joined the four with a small batch of watches featuring the Caliber 52T S.C.
Today, only IWC, Stowa and Laco keep producing “Pilot Watch” themed watches as the members of the original five suppliers. The pilot watches manufactured by Wempe and A.Lange & Söhne are quite hard to get due to their rarity and top figure price tags. IWC is an important brand in manufacturing pilot watches as they offer a variety of versions which are mostly loyal to the original B-Uhr design of 1930s. 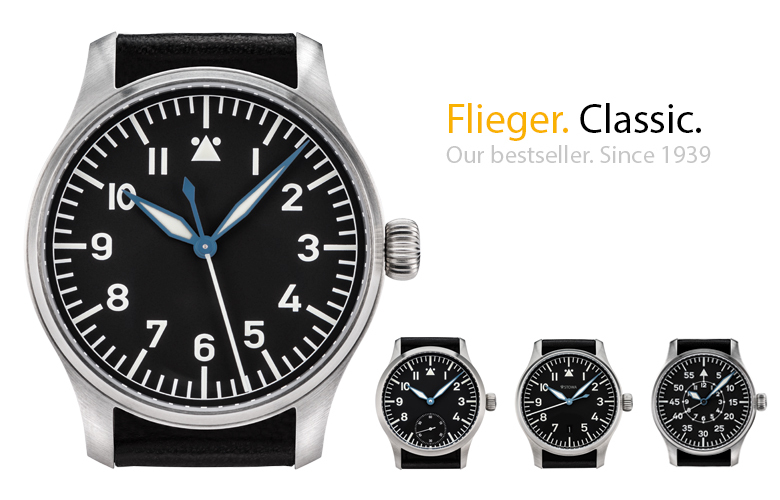 Their latest Heritage Collection launched during SIHH 2016 features the 55mm limited edition pilot watch which is considered as a true collectors’ item. Stowa and Laco produce mostly ETA movement models with Type A and Type B dials in a relatively affordable price range. There are several brands offering B-Uhr inspired models from time to time. 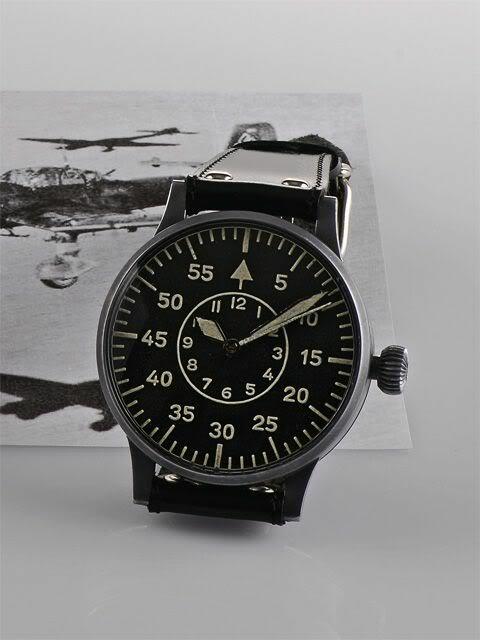 Beside their history and horological value, Pilot Watches are highly desired with the minimalist designs and functional features. B-Uhr design watches are always one of the top choices with their simple but extremely readable dial and hands for the watch enthusiasts who are in to thematic timepieces.